Love music, love my job, and love people! Kim has been in Office Management since 2005. She is the wife of Kyle Zemeski and tries her best to keep him organized and on track. She truly is the glue of the dealership and without her Z Motor Company would not be what it is today. She is the mother of three wonderful daughters...Ashley, Kendra and Lauren. Her passions are our Family, Faith, Raquetball, families sporting events and serving others. She is an incredible office manager, wife, and Mother!!!  Kyle has been in the auto industry for 22 years! Started at a Wolf Ford (now Chapman Ford of Lancaster), spent about 10 years really learning the business at Twin Pine Auto Group before opening Z Motor Company in 2007. Faith, Family, Military and Sports are some loves in his life! He is the very fortunate husband of Kimberly Zemeski and the proud Father his three girls....Ashley, Kendra, and Lauren Zemeski. 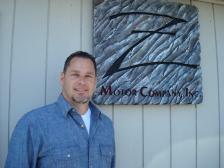 Thank you for considering Z Motor Company for your next vehicle purchase! From the moment you step on our lot until the time you drive away in your next car, your buying experience with Z Motor Company is our number one priority. We encourage you to use the expertise and resources of our sales staff; they are here to help you find the right car at the right price. Call us today at (717)569-5733 to schedule your test drive!